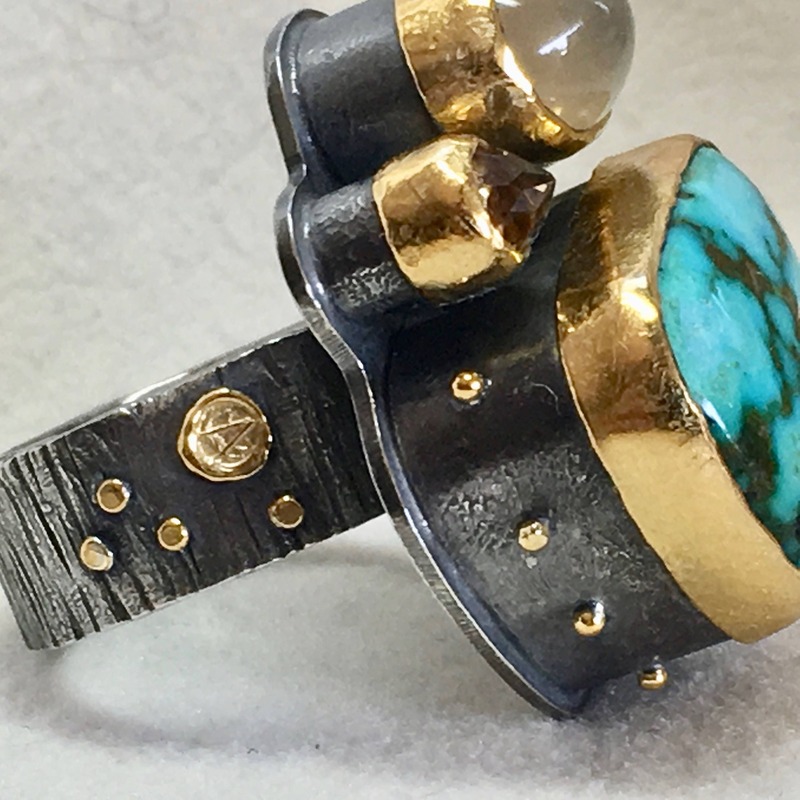 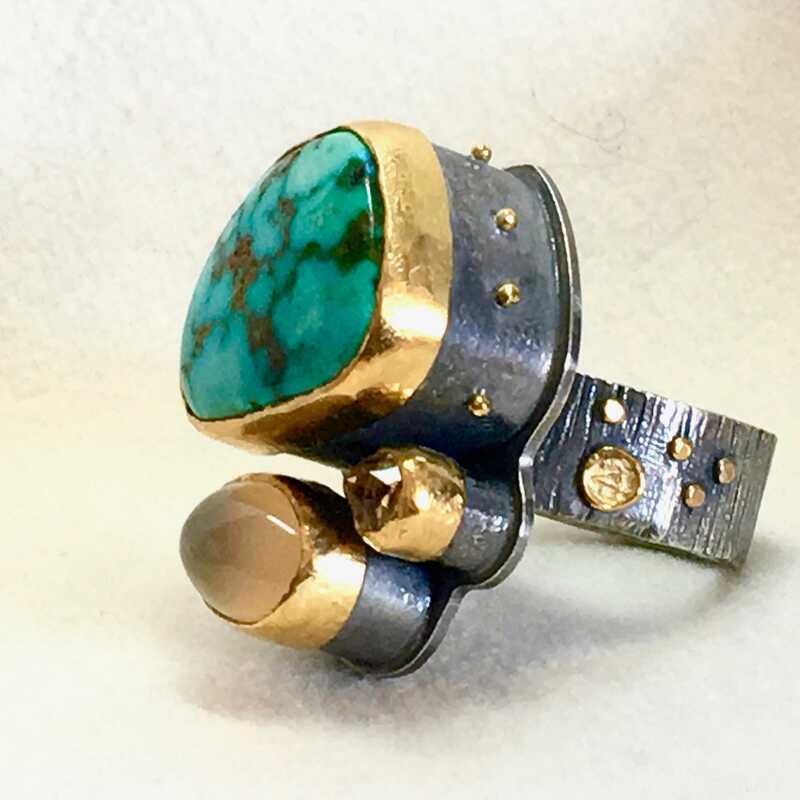 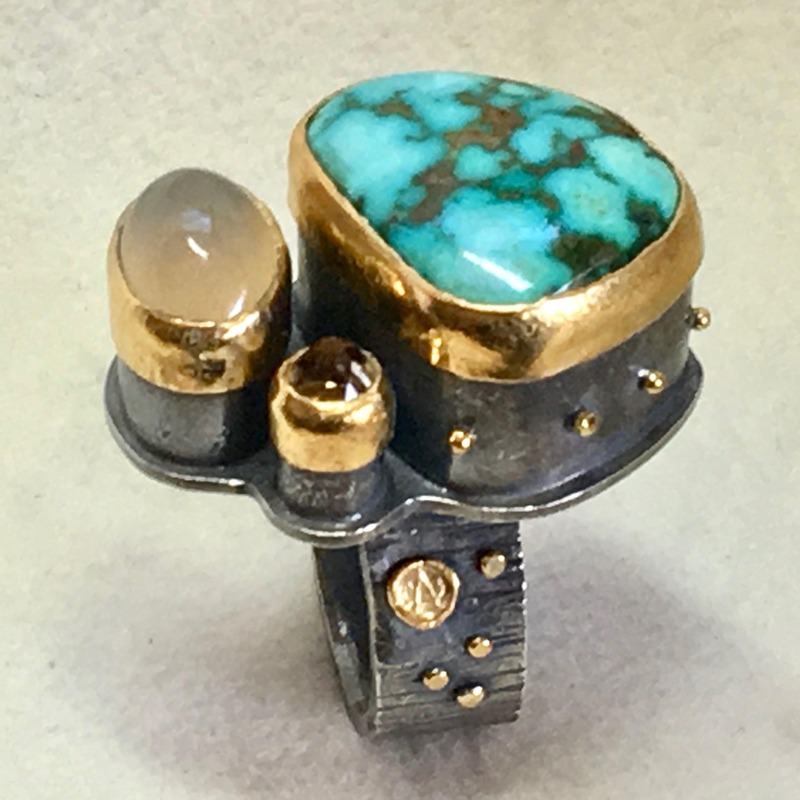 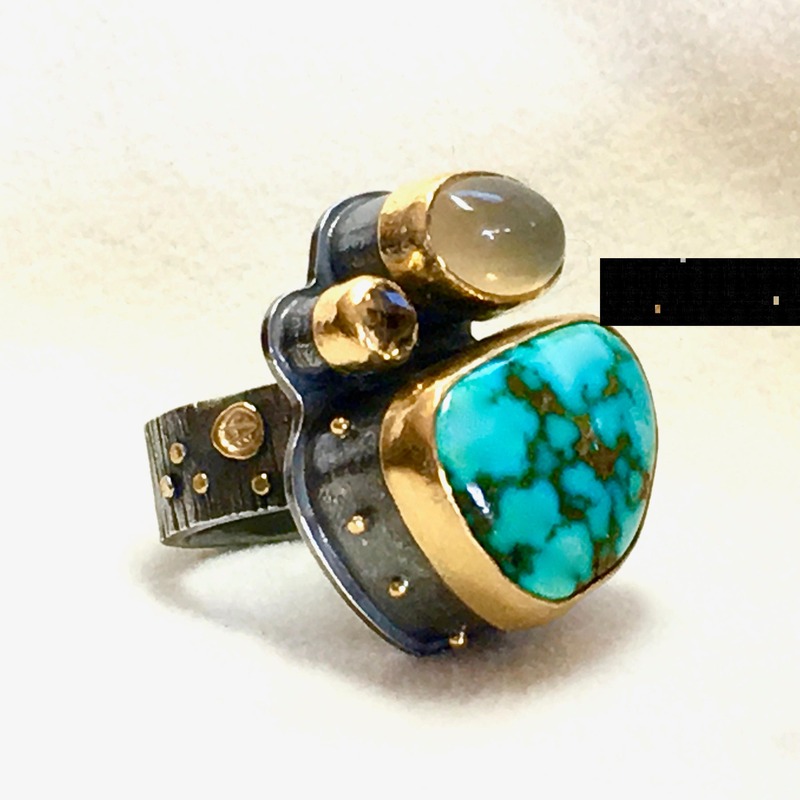 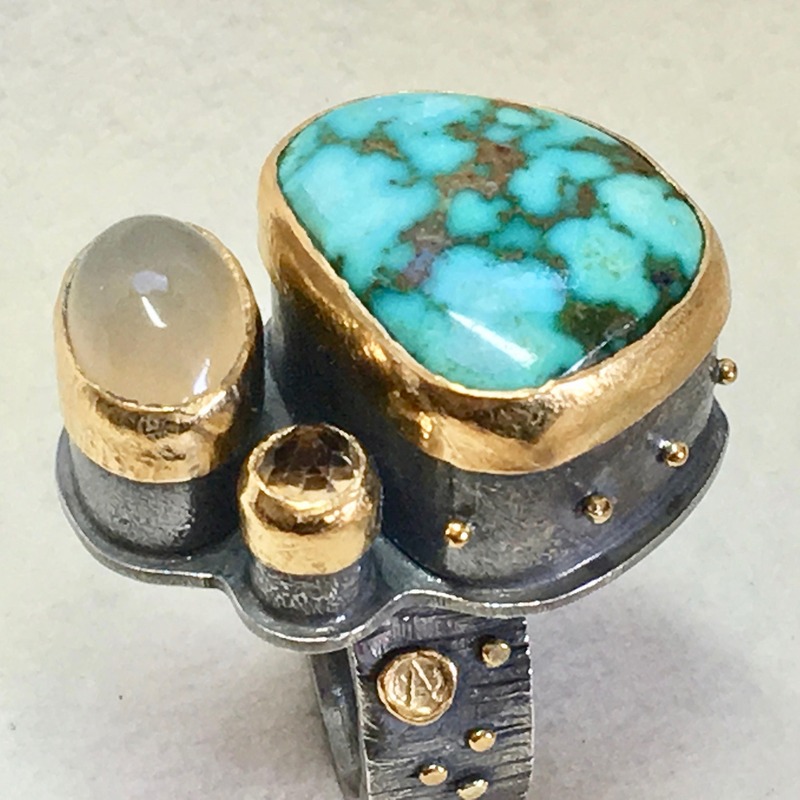 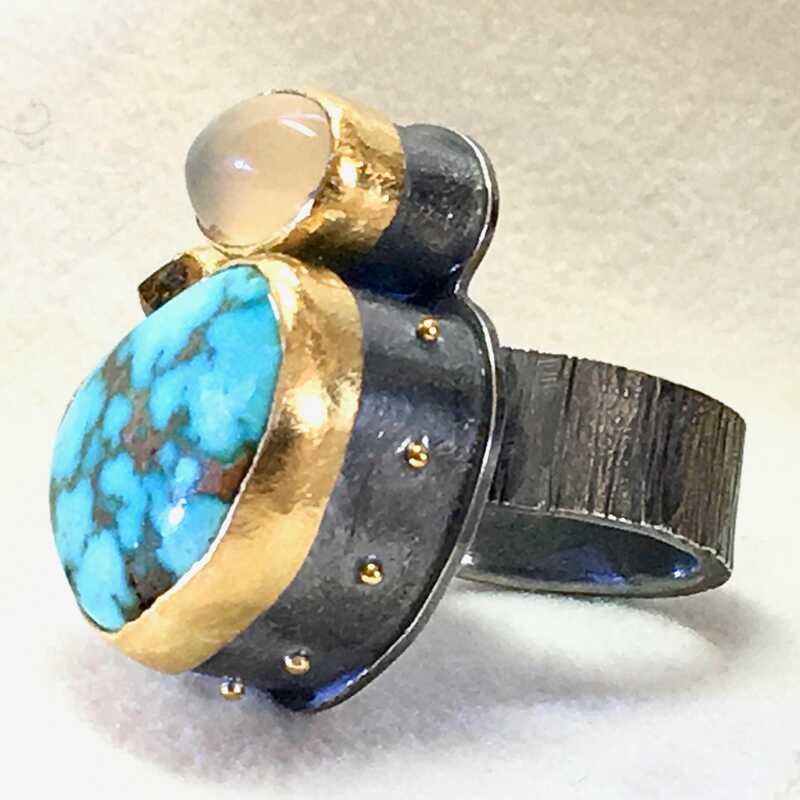 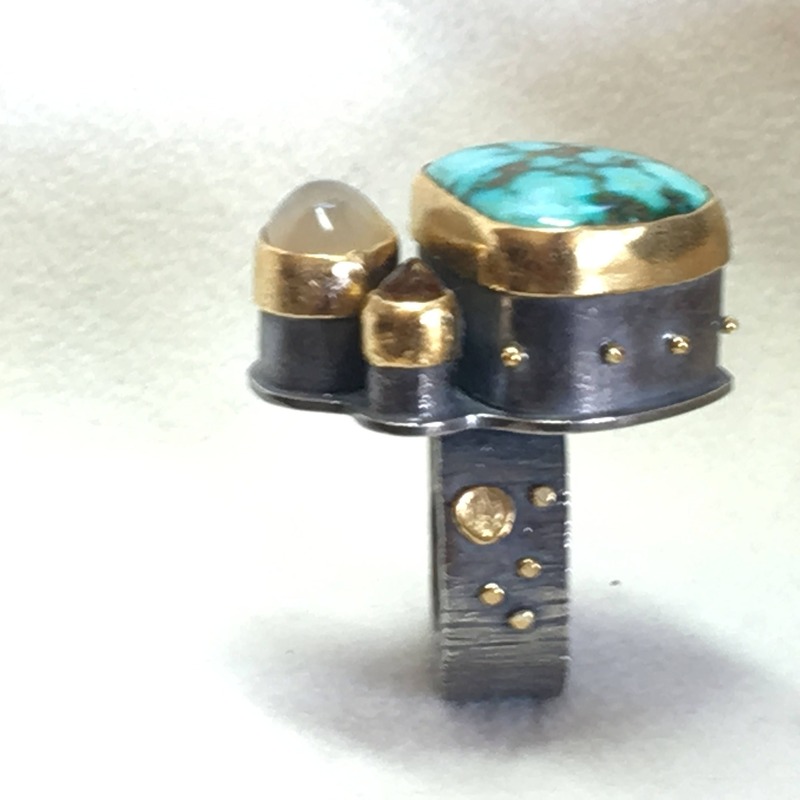 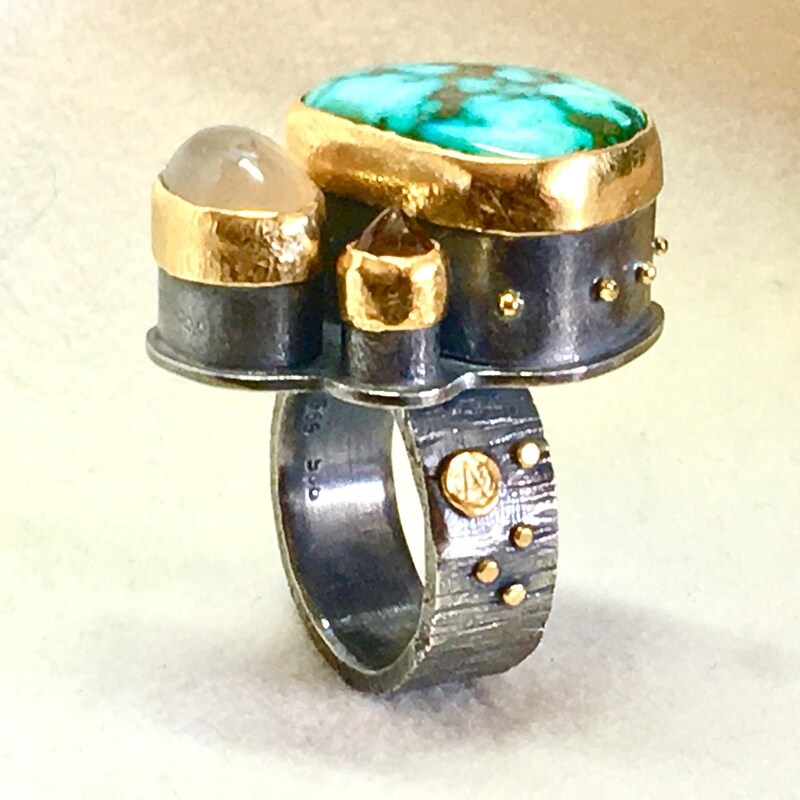 Yes Kids, it's one of Craig's famous CHUNKY FUNKY rings with a Big Turquoise, round upside down Citrine & Lustrous Oval Golden Moonstone in Blackened Textured Sterling Silver. 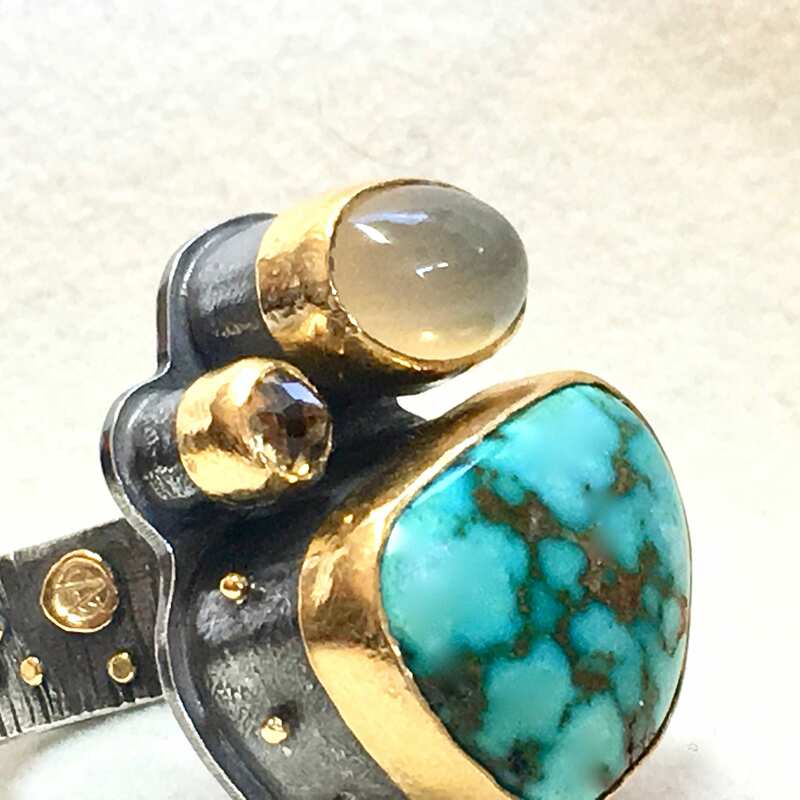 All the stones are surrounded by heavy textured 24 karat solid gold bezels and the outer surface has 24k solid gold beads (along with my logo). 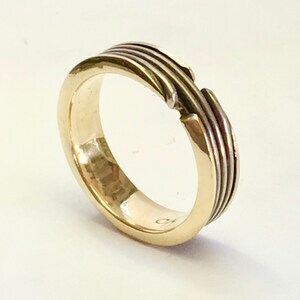 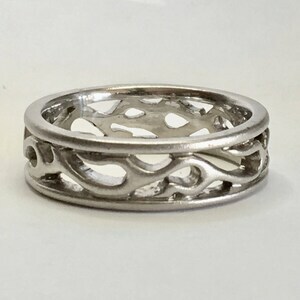 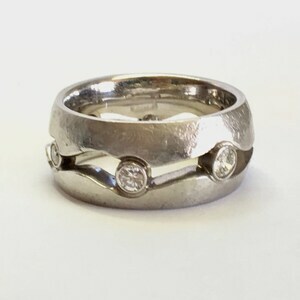 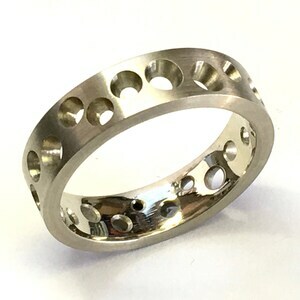 The entire ring is done in a black and textured recycled sterling silver with the band being approximately 8mm wide.